Stocks of Japanese whisky Yamazaki are set to run dry across the globe this year after Suntory admitted it had not been prepared for the huge rise in demand for the product in recent years. Suntory whiskies have garnered over 60 awards in the last eight years. Most recently, Yamazaki 1984 single malt was named Best Malt Whisky in the World, while Hibiki 21 year old was named Best Blended Whisky in the World. In 2010, Suntory was named ISC Distiller of the Year, the first time such an accolade had been given to a Japanese distiller. Speaking at a tasting in London this week, Suntory global brand ambassador Mike Miyamoto said that the glut of awards and subsequent higher profile for Japanese whiskies had resulted in stocks running extremely low for the rest of 2011. 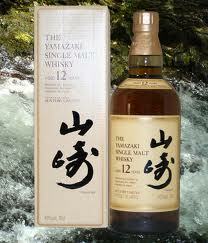 “Demand has increased as Suntory has won more and more awards,” said Miyamoto. “Whisky takes time and producing it involves a long-term planning strategy. “Just because there has been an increase in demand, it doesn’t mean we are able to catch up with that straight away. Miyamoto, who confirmed stocks of Yamazaki 10 Year Old had already run dry, said he was confident that the distillery will be able to meet global demand by 2012.